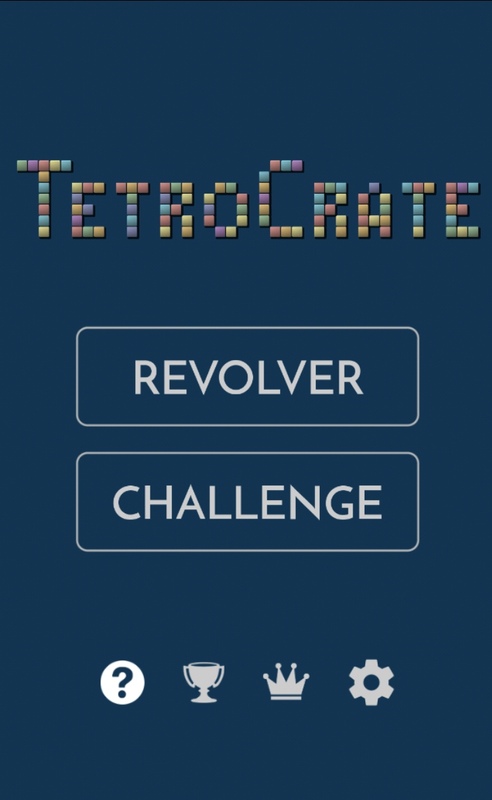 Our latest TetroCrate update on iOS brings a number of useful new features, such as new game controls and the long anticipated connection with Apple's Game Center. 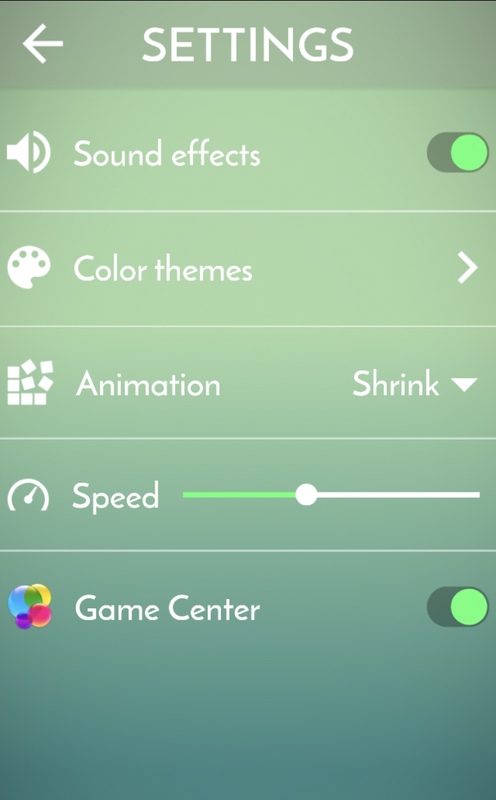 The first icon is a link to our About page, where you can rate our app, learn more about other apps by AppDeko, and some other useful stuff. 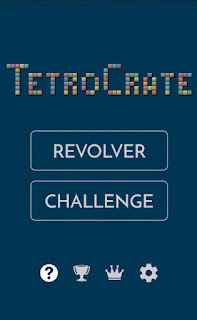 The two middle icons are a handy short cut to Game Center Achievements and Leaderboards now available to TetroCrate players. 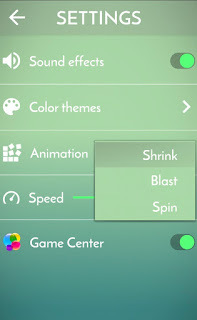 Apart from the familiar two options to turn off sounds and change colour themes, you will now find a new drop down menu of animations and choose whether you want the cubes to shrink (default), blast, or spin to disappear. 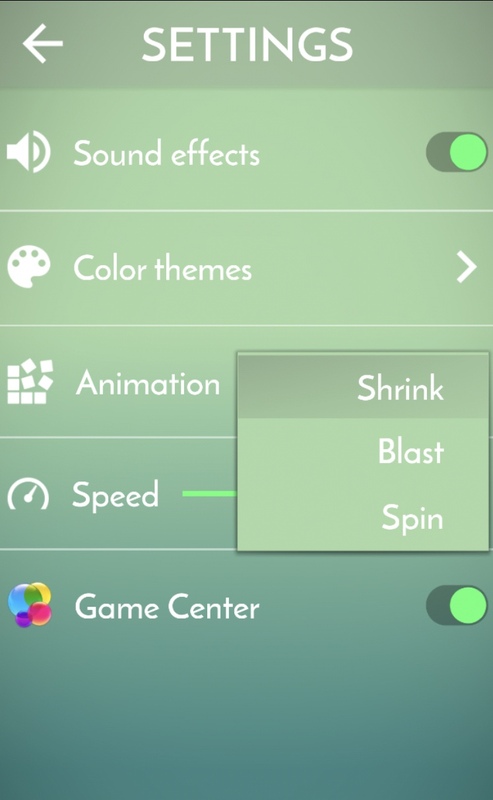 You can also set the speed of your animations, if you want them to be a bit slower or faster than the default. And last, but not the least, you can now compete and share your achievements with other players via Game Center. 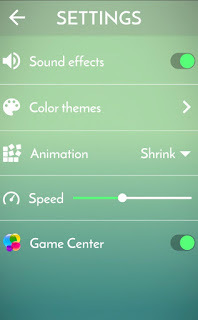 Yet the option to turn off Game Center notifications is right here too. Just in case. Challenge: только фигуры тетромино, без вращений и с уникальной стратегией игры: У меня фигуры вращаются, почему ???!! !